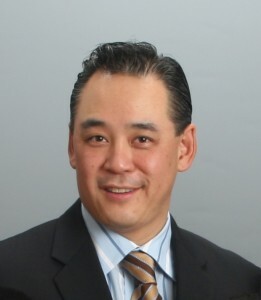 Admitted to the California State Bar in 1999, Sean Chen has been serving clients in a variety of areas in Real Estate, Business Law and Contracts and is also admitted to practice before the U.S. Court of Appeals (9th Circuit) and the U.S. District Court, Northern District of California. Prior to becoming an attorney, he was a real estate broker with Mason McDuffie (now Prudential California Realty) and Security Pacific Real Estate. He was also a member of the Contra Costa County Association of Realtors from 1993 to 1999 and a member of the Multiple Listing Service. Mr. Chen received his law degree from John F. Kennedy School of Law and received his Bachelor of Arts from the University of California at Davis. He is admitted to practice in the United States Court of Appeal for the Ninth Circuit, and before all United States District Courts in California. Mr. Chen has been a member of the California Bar Association since 1999, has been a member of its real estate section, was a member of the Contra Costa County Bar Association, remains licensed as a California real estate broker, and a member of the American Bar Association. Mr. Chen has served on the Board of Directors of the San Ramon Valley Little League since 2009, has managed and coached in the league since 2003 and also presently serves on the Board of Directors of The Betty Ross Foundation.